Designed to hold a variety of mountable percussion. 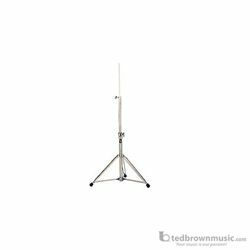 21" long telescopic 3/8-inch diameter knurled rod can hold LP Jam Blocks, Chimes or Cowbells. Chrome plated steel construction, double braced legs and large rubber feet.